Dec - 08 | By: cvre_admin | No comments. The number of rooms, amount of acreage and of course, the price, all play a role in your selection of the perfect house. 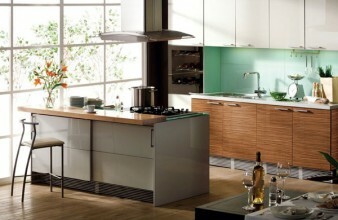 However, you should also consider a decent kitchen as an integral part of your Chula Vista Home buying decision. Even if you are not someone who cooks frequently, a pleasant eating space is important in terms of resale value. Not sure what constitutes a “good” kitchen? Here are seven things to seek out. Although this feature doesn’t have to “make or break” your deal, a neutral room makes it easy for you to customize in many ways. It is also more buyer-friendly when you want to turn around your investment. A complete redesign is obviously a lot more expensive & time consuming in comparison to simply painting. It pays to take the layout and design in consideration up front. You should be able to use all of the features of the kitchen with ease, and each item should be to scale in terms of the room size. Cabinet and storage space is always an important factor, too. When it comes to flooring, looks can be deceiving. Stained laminate flooring can be an eyesore, but keep in mind that it’s typically inexpensive and simple to repair. Ceramic tile, on the other hand, can be both a nuisance and costly to fix or replace. If a stove, dishwasher or refrigerator are included in the sale of the home, make sure they all work correctly. Leaks around the fridge and smoke spots under the vent of the hood or behind the stove are signs of possible damage. Typically, people like to congregate where the food is, which is why your cooking spot needs to have a nice spot for loved ones to converse and relax. Bar seating, islands and breakfast nooks are all ideal for hanging out and enjoying that homey warmth. If you have any budget at all for renovations, cabinets don’t have to be a deal-breaker. However, it really adds to the appeal of a home to have attractive, sturdy cabinets. Finally, it is a good idea to be critical of the countertop and backsplash materials. You can replace these items with ease if they are vinyl, but tile can be a different story. Poured concrete and stone countertops can be lovely and are very sturdy. Are you ready to start looking for the next home of your dreams? Search online for Chula Vista real estate today.